The national social care charity Community Integrated Care is inviting the people of Blackburn with Darwen to name the households of its brand new state-of-the-art care home, EachStep Blackburn, after their local heroes, in an exciting new competition. 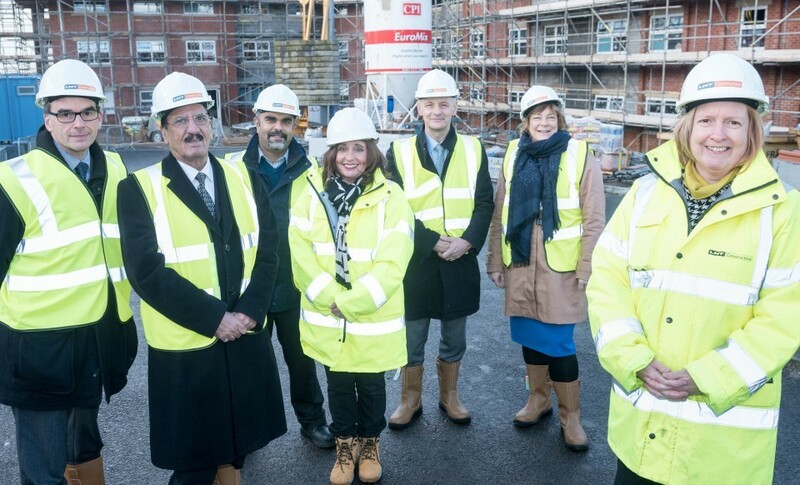 EachStep Blackburn is a cutting-edge £4.8 million dementia care home that is opening this summer. The 64 bed specialist service will provide a holistic range of dementia care and support, including respite, residential, nursing and end-of-life care. The charity has committed to making the home a hub for the whole community to benefit from, working in partnership with the likes of One Voice, Age UK, Ivy St Community Centre and Blackburn College. It will create over 100 permanent jobs, as well as offer a number of exciting volunteering opportunities. EachStep Blackburn will also provide facilities for the whole community to enjoy, including a café and landscaped gardens. In this spirit of community engagement and making a difference, Community Integrated Care is looking to name the three households of EachStep Blackburn after local heroes, past or present. People from the Borough can suggest local greats who they think should be celebrated with this permanent recognition by completing a simple form at: www.c-i-c.co.uk/blackburn-heroes. People can put forward anyone who they think has made a difference – from sporting greats and political powerhouses, through to unsung heroes such care workers and dedicated volunteers. The three people whose entries are successfully selected will win £100 Love2Shop vouchers, and they will also be invited to the grand opening of the home this summer. The charity will seek to invite the individuals who have had the honour of having a household named after them, or their loved ones, to attend the opening ceremony too. The contest will be judged by an esteemed panel, including Neil Matthewman, Chief Executive of Community Integrated Care; Steve Tingle, Director of Adult Services at Blackburn with Darwen Council; Sir Bill Taylor, Chair of Blackburn College and Healthwatch Blackburn with Darwen; as well as representatives of One Voice and Ivy St Community Centre.